This Maths Logical Equation Brain Teaser will twist your brain. School going students will find this Logic math Brain Teaser very interesting. Both logical reasoning and mathematical skills can be tested by solving this logical math brain teaser. So can you decode the logic used in the given number equations and find the value of the missing number? 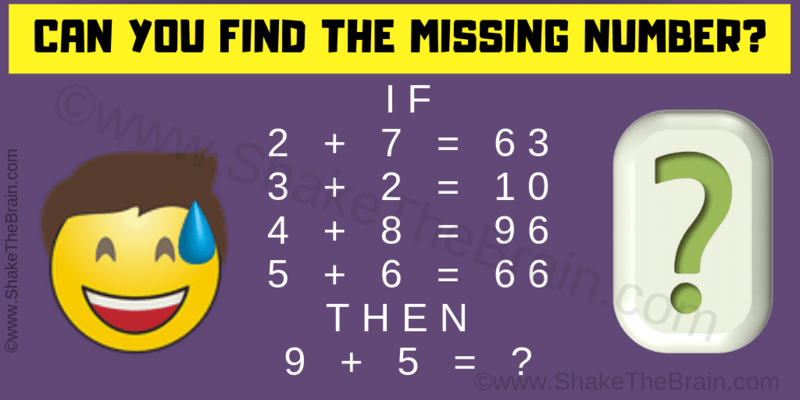 Can you solve this Maths Logical Equation Brain Teaser? Answer of this "Maths Logical Equation Brain Teaser", can be viewed by clicking on the answer button. Your both the answers for this math logical equations puzzle are right.